Internationally acclaimed Pennington Dance Group celebrates its 15th Anniversary with two concerts on March 26 and March 27at the State Playhouse, located on the campus of Cal State LA (just east of downtown Los Angeles). 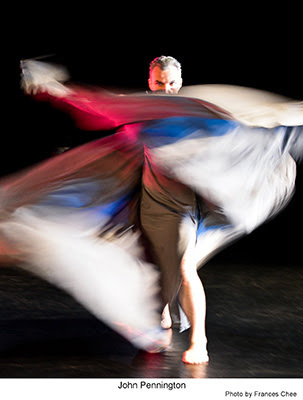 The Los Angeles-based modern dance company will offer a challenging program featuring a combination of new choreography, including three premieres, as well as the recreation of historical work such as a rare revival of Bella Lewitzky’s On the Brink of Time (1969) with music by Morton Subotnick (the first synthesized music to be commissioned and recorded for a record label). Pennington Dance Group 15th Anniversary Concerts take place on Saturday, March 26 at 7:30 p.m. and Sunday, March 27 at 2 p.m. Tickets are $22, general admission, and $16 for students with valid ID. The State Playhouse is located at 5151 State University Dr., Los Angeles, CA 90032 (on the campus of Cal State LA). Parking is available for $3 on the rooftop level of Parking Lot C.
For reservations and information, call 626-204-0331 or go to www.penningtondancegroup.org.